The process of becoming a commissioned bank examiner is an on-the-job training program that follows a specific path of advancement. You start out as an entry-level financial examiner, and upon successful completion of the program, you will be eligible to apply for the Uniform Commission Examination, or UCE. Once you pass the UCE, you will be a commissioned bank examiner, qualifying you to act as the Examiner-In-Charge over an entire bank examination. 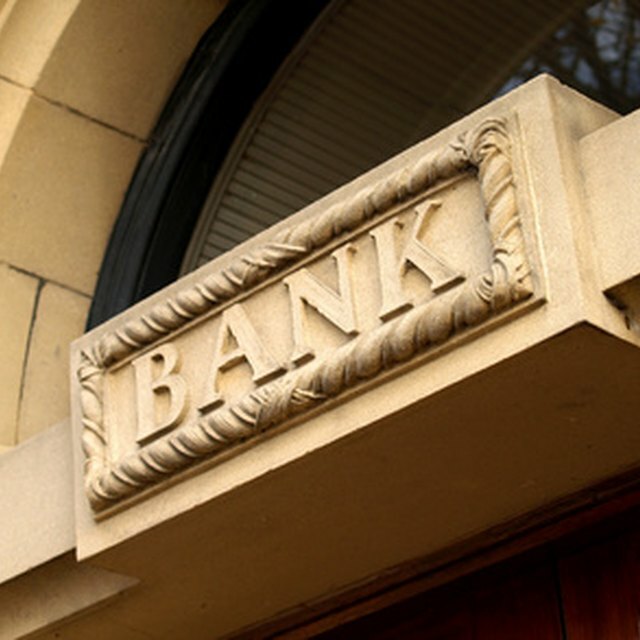 Develop a solid understanding of banking and accounting procedures. A bachelor’s degree in business or accounting is preferred by the federal agencies that train and commission bank examiners, but a bachelor’s degree in a related field with work experience in banking is also acceptable. You must be a U.S. citizen. Apply for a position as an entry-level financial examiner at one of the 12 branches of the Federal Reserve Bank, or with the Office of the Comptroller of the Currency. Complete the orientation program required by the Federal Reserve Bank. This two-week program provides an overview of the role of the Federal Reserve Bank, its supervisory duties and an introduction to the various examination disciplines and areas of specialization. Complete Level 1: Core Training. This level consists of training in the banking business, federal regulatory responsibilities, financial analysis, the basics of risk assessment and analysis and interpersonal communication. Take the Level 1 Standardized Proficiency Examination. It tests your knowledge of the core curriculum covered in Level 1. It consists of approximately 100 multiple-choice questions. Choose an area of specialization, such as safety and soundness, consumer affairs, information technology and trust. Complete Level 2: Special Training. This level consists of in-depth education and training in your chosen field of specialization. Core training, regardless of specialty, includes assigning appropriate examination ratings, measuring and reporting risk, analyzing a financial institution’s risk-management system and determining the accuracy of the financial institution’s information system. There is some flexibility in the timing of levels 1 and 2. The Reserve Bank management and training staff determines if portions of Level 1 coursework and training can be completed simultaneously with certain coursework and training in Level 2. The overall timeframe for completing both Level 1 and 2 is generally nine to 12 months, but this will depend on the area of specialization. Complete Level 3: Integration Supervision and Financial Institution Management. While the training up to this point has focused on the process of examining and regulating a financial institution, Level 3 trains you in the managing of a financial institution from the banker’s perspective. This includes training in the evaluation and analysis techniques of risk management. Take a second standardized proficiency examination. This exam tests your in-depth knowledge and mastery of the skills required by your chosen field of specialization, as well as the concepts related to managing a banking institution. It also tests your general overall understanding of the other specialty areas. Apply for commissioning through the Board of Governors of the Federal Reserve to take the Uniform Commissioned Examination.